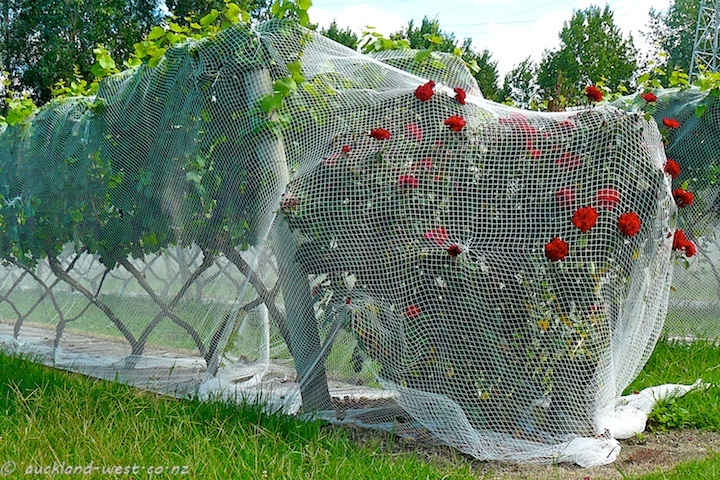 It’s the time of year again when the vineyards get shrouded in bird netting. These vines have been under cover for a few weeks and want out, as do the roses which are planted at almost every other row according to ancient tradition. Kumeu River Winery, next to State Highway 16.